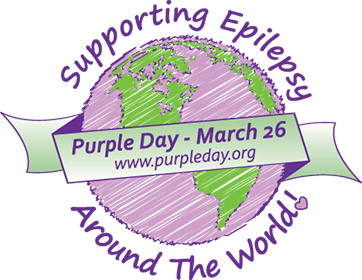 Purple Day was March 26, 2019 and Toby's Foundation was a proud partner of www.purpleday.org promoting global awareness of epilepsy for canines and humans - SAME DISEASE DIFFERENT SPECIES. Thank you to those of you who supported this effort to raise epilepsy awareness. Below are photos we received. Our Purple Day photos can also be found on our social media pages! 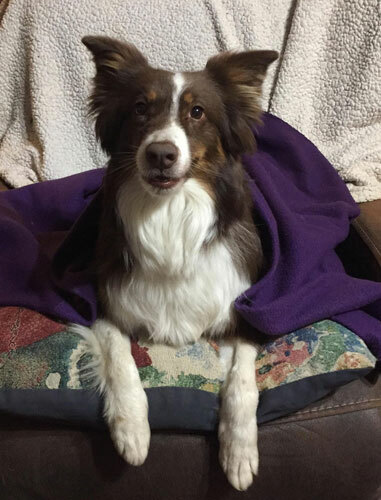 Korbin wears purple to remember his siblings Felix, Conway and Fleece who passed away way too young as well as the many Aussies who we know or don't know who suffer from this disease. 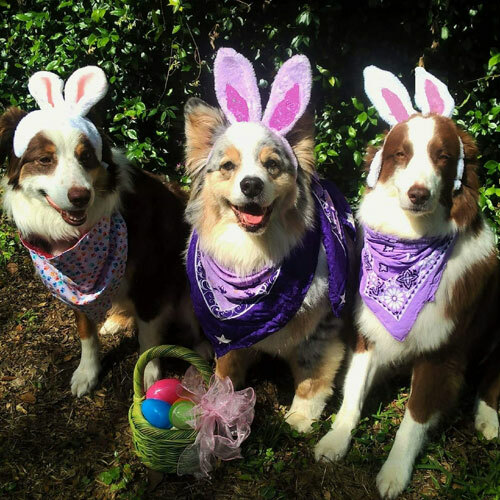 Wyatt Earp, Cowgirl Belle Starr, and Cowboy Cutter Bill celebrate Purple Day! 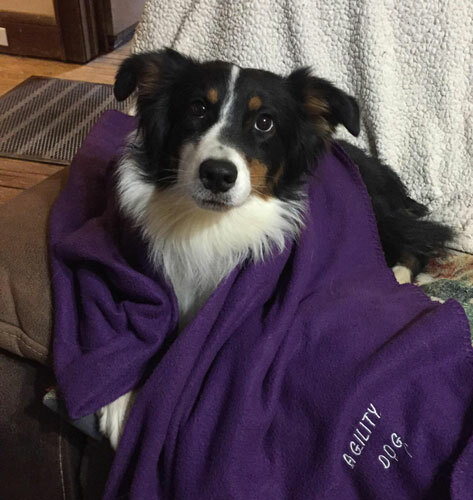 Cowboy Cutter Bill is a 4 year old registered Australian Shepherd who presented with shaking (but not grand mal) type symptoms about two years ago. He is currently on medication which controls most of his passive seizures. Despite his medical condition he continues to serve as a therapy dog in complex situations, visiting nursing/hospice homes, hospitals and schools with Delta Hearts of Gold in Fort Worth, TX. 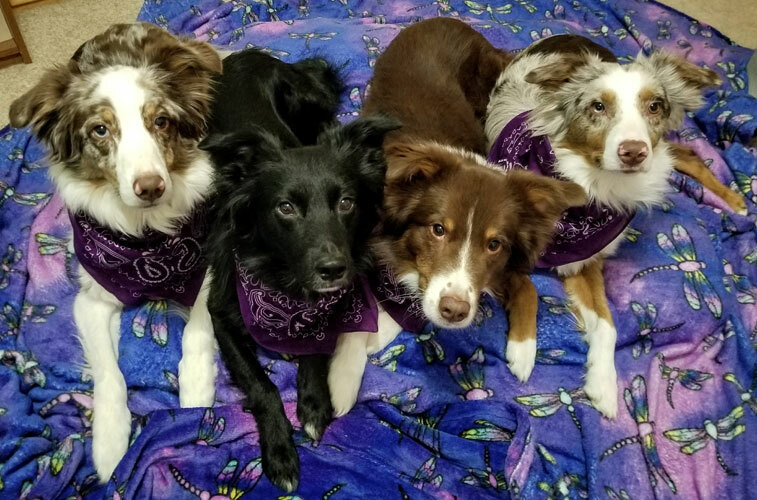 Sammy, Colby, Misha, & Ollie, from Maryland, celebrate Purple Day! 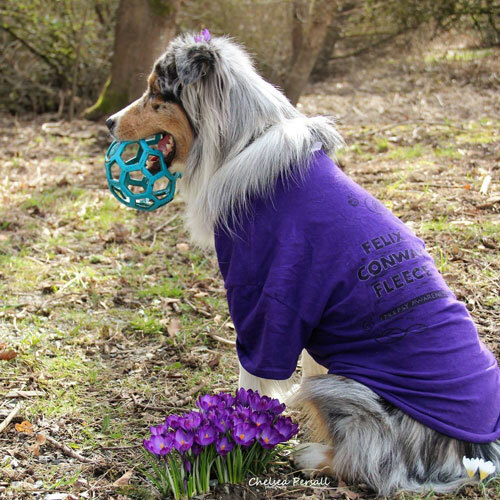 Hattie & Halo, from Maryland, celebrate Purple Day!